Bulgaria’s Environment Minister has allowed the hunting down of brown bears whenever necessary after a woman barely survived an attack by a killer bear. A 64-year-old woman was assaulted by a bear on Wednesday as she was gathering mushrooms together with her sister near the village of Malka Arda in the Smolyan District in the Rhodoppe Mountain. The woman was saved as her sister managed to scare off the bear, and was taken in a coma to the Smolyan hospital where she regained consciousness Thursday morning, and her condition was stabilized. The village of Malka Arda is about 30 km from the village of Kutela where a 60-year-old man was killed and mutilated by a killer bear in May, which was subsequently hunted down. According to the local mayor of the Banite Municipality, there are 49 brown bears in the region while a population of only four should be admissible given under the environmental regulations. 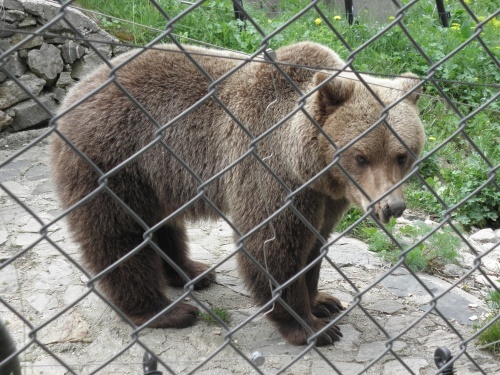 Bulgaria’s Environment Minister Nona Karadzhova has sent a letter to the District Governor of Smolyan saying that her institution will allow the hunting down of any animals suspected of being killer bears. It also envisages a program to plant wild berries in the mountain regions in order to spread the bear population away from the local villages.